It happens to us every year -- the jolly season of the year approaches quickly, and you start wondering what to get your loved ones. You start doing mental acrobatics figuring out what you bought them last year, if they liked it, and how much you want to spend this year on presents for everyone. Whether you’ve left the Christmas shopping too late, or if you’re on a tight budget, we’ve got you covered! … If you want it to be! You can utilise items that you already have lying around the house for most of these ideas. Your presents will be one of a kind and can’t be store-bought, which makes it really special. Colourful buttons, lots of them! Even better if they’re in different shapes and sizes. First decide what design that you’re going to shape your buttons to. It could be a name, or a shape of an animal, plant, or any object you can think of! Next, lightly draw an outline of your design with a pencil on the canvas board or card. This will help guide you on where to place your buttons. Start glueing the buttons inside the pencil outline, one by one. You might have some ‘statement buttons’ such as large buttons for eyes -- place these ones first and then work the other buttons around it. If you have small gems or beads, you can glue them in between the gaps of the buttons. Once done, wait for a few hours for the glue to fully dry. Gently erase any leftover visible pencil marks if there are any. Optional: Place your new awesome button picture in a picture frame for a more dramatic gift! Create a design that makes the recipient of your gift immediately think of a happy or funny memory that you both share, or of an object that the person loves. Utilise the person’s favourite colours into the choice of button colours. Paint the picture frame in their favourite colour. Combine ingredients using a wooden spoon – I avoid the food processor to keep the sugar nice and scrubby. Mix through the vanilla bean paste – I love the paste because it has colour and pigment in it that adds nicely to the scrub. Pop in pretty airtight jars. Can be kept in the shower! Instead of vanilla, try a few drops of an essential oil that is your loved one’s favourite scent. Optional: Decorations of your choice, e.g. coloured pebbles/sand, miniature figures, etc. If you don’t have the equipment to drill a hole on the bottom of the teacup (to help with water drainage), don’t fret! Place a handful of medium-sized pebbles to the bottom of the teacup. This separates the water pooling from the roots of your succulent that likes to stay dry, and prevents rotting. The amount of pebbles should cover about ⅓ of the teacup. 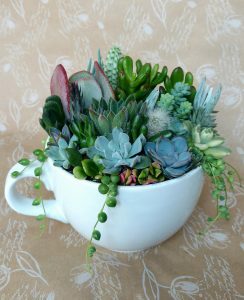 Next, fill the teacup with some potting mix and start your succulent arrangement. Don’t worry about leaving room for them to grow because we want it to look nice and full as a great-looking present. As the succulent grows, your gift recipient can prune as desired or relocate them to a bigger pot. Lastly, decorate! You can use small coloured pebbles to cover exposed soil, and even add little figurines to create a theme! If you’re using a jar instead of a teacup, you can use some Christmas wrapping paper to wrap around the jar and tie the paper together with a hessian ribbon or lace ribbon. Choose different types of succulents with different colours to make it more visually appealing. Some succulents like ones from the jade family are more resilient and doesn’t require much watering. If unsure of which succulents to choose, just ask the nursery or shop assistant to help you out. Measure and cut the colourful card stock into even rectangular voucher-style shapes. Neatly hand-write each card with a ‘reward’ (see ideas below). Hole punch each card on one side and tie them together with a ribbon. Place them in an envelope and it’s ready to be gifted! 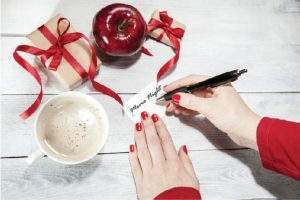 You can save time by finding some free templates online, but hand-written vouchers are a bit more personal. Add some creative flair by adding some drawings to your vouchers. Mix baking soda, citric acid, epsom salt, and food colouring in a large bowl. You can wear gloves to protect your hands from the colouring. 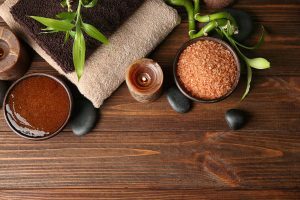 Combine melted coconut oil, water and essential oils in a separate bowl. Mixed thoroughly and continuously while combining both bowls of ingredients. It should end up with the consistency of crumbly sand and should not be wet. Remember this is a bath bomb and water will activate the fizzing! Pack the mixture into the moulds tightly and let it sit overnight. To remove from mould, very carefully tap around the mould until it dislodges. 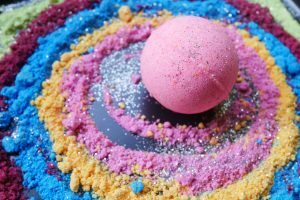 The bath bomb will be rather fragile so ensure that it has secure packaging like a box with colourful tissue paper to keep it in place and safe from bumps. Try mixing different bowls of the mixture with different colours to experiment with some crazy colours!